Why Did My Butter Separate When Making Toffee or Caramel? It's happened to all of us—you're making a beautiful batch of caramel or toffee, and all of a sudden you notice a thin, oily layer on top of your candy. This happens when the butter separates from the sugar in the recipe. Read on to find out why butter sometimes separates from toffee or caramel, and how you can save your candy if this happens. Toffees and caramels both contain butter (a fat) and sugar in high quantities. If the toffee or caramel is not handled properly during the cooking process, the butter sometimes separates from the sugar and forms an oily layer on top of the candy. This often happens during the cooking stage, but sometimes it separates as it is being poured out onto a baking sheet to cool. One of the most common triggers is when the candy has undergone an abrupt temperature shift, either becoming too cold or too hot in a very short period of time. Monitor the temperature with a candy thermometer, and try not to "shock" your candy by drastically turning the heat up or down during cooking. Additionally, it is especially important to watch the candy at the beginning of the cooking process, while the butter and sugar are melting together because separation can often result if these two elements melt unevenly. If you have very effective stovetop burners, we recommend turning them to medium-low to allow the butter and sugar to melt gently in the beginning stages. Can Your Separated Candy Be Saved? If your candy separates during the cooking process, there is a chance you can save it. 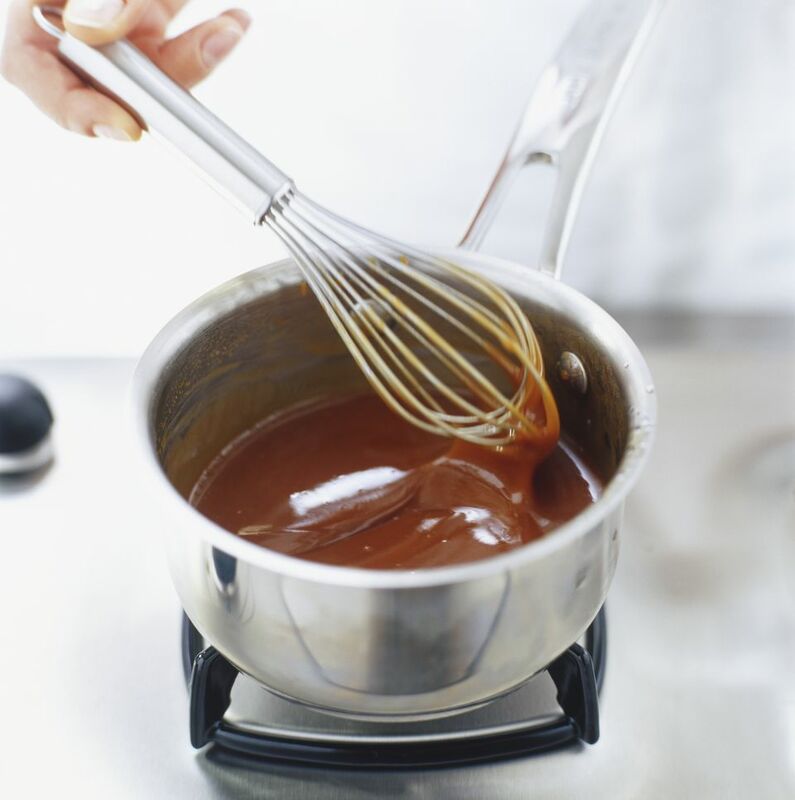 Sometimes separated toffee or caramel can be saved by removing the saucepan from the heat and stirring constantly and smoothly until it comes back together, then gradually returning it to the heat, stirring constantly. You can also try adding a spoonful or two of very hot water to the toffee to help it come together. Start with one tablespoon and stir the candy to help it come together. Add additional spoonfuls if necessary, but do not add more than 1/4 cup of water total. If you have already poured your candy out to cool by the time it separates, the candy is unfortunately too far gone to save. However, you can probably wipe off the excess oil and crush the toffee to use in baked goods or as an ice cream topping.